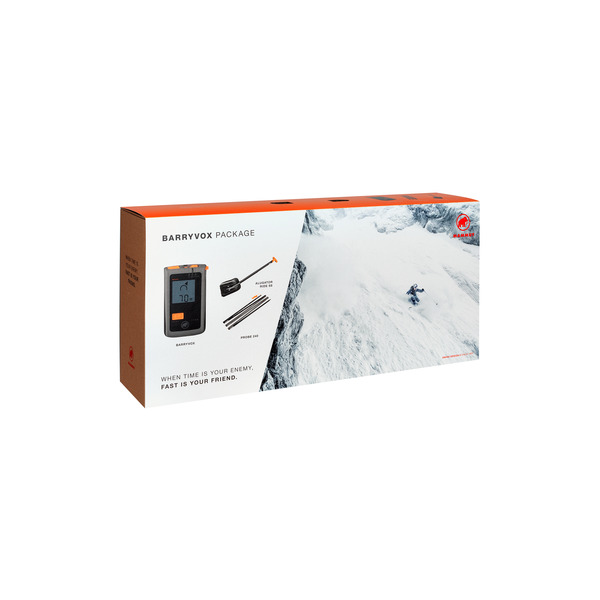 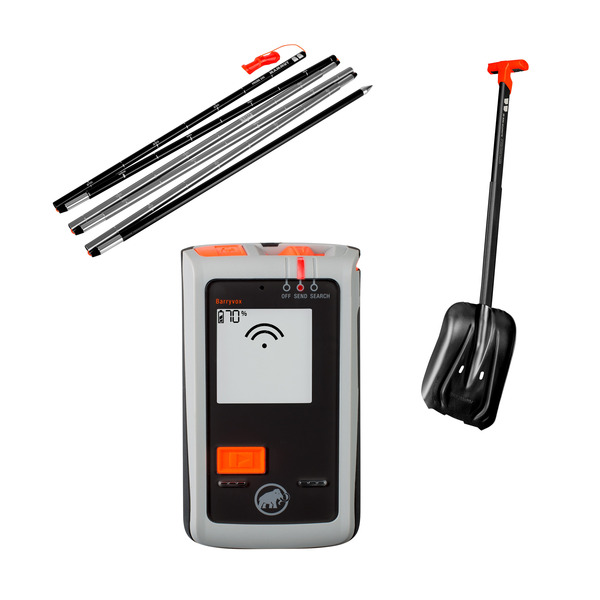 The Barryvox® Package includes all the avalanche equipment you need for freeriding, off-piste runs or ski touring: inside, you will find the Barryvox® avalanche transceiver, the light avalanche Probe 240 and the Alugator Ride shovel. The digital 3-antenna Barryvox® avalanche transceiver is distinguished by its extremely simple operation and clear instructions. 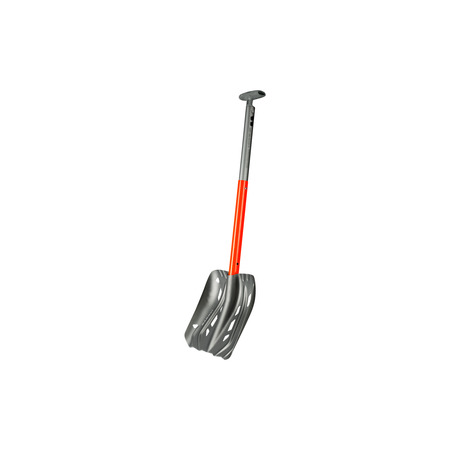 The aluminum Probe 240 is safe and easy to use, even when wearing gloves. 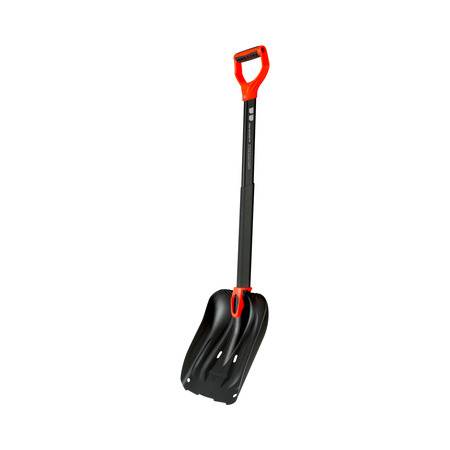 And the packing volume is reduced to the minimum with the small, compact Alugator Ride avalanche shovel, which features a blade made of hardened, anodized aluminum. 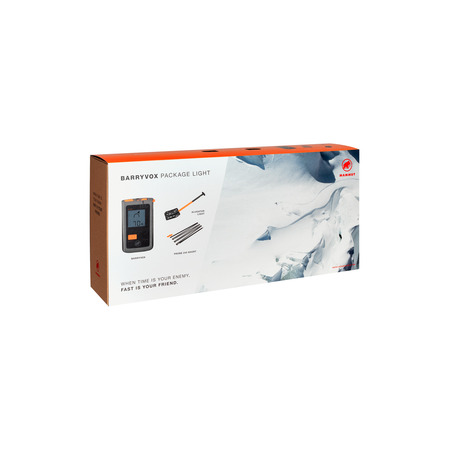 This set forms the basis of standard safety equipment for freeriders or ski tourers.